What is the Lawyers Role? The purpose of this website is to introduce you to our firm and serve as a referral tool for our clients in California, Kentucky, nationally and internationally. We specialize in several aspects of law; Personal Injury, Civil, Business, Wills, Trusts, Estate Planning, Criminal Defense, Mediation, Arbitration and Equine. To find our more specific information about our Equine Law practice, please visit our dedicated website for Equine clientele : www.HorseLawyers.com. In 2005, there were nearly 6,500,000 car accidents in the United States. Close to 3 million people were injured and more than 42,500 people died as a result. In the U.S., 1 person dies every 13 minutes in a car accident. Bush Law Offices has successfully helped many people who have been injured in a car accident due to another driver’s negligence to obtain large settlements and judgments for their injuries. We also handle injuries involving SUVs, trucks, and motorcycles. Our personal injury attorneys have the tools, skills, and resources to pursue the maximum recovery possible for your case. Bush Law Offices works on a contingency fee basis in most personal injury cases. This means that in the majority of personal injury cases, our firm’s legal fees and any expenses that apply to your case will be reimbursed from your case’s final disposition and settlement. The injuries that can be sustained in a car accident can be serious and life-changing, and we will do what we can to make sure that your award damages cover your expenses. 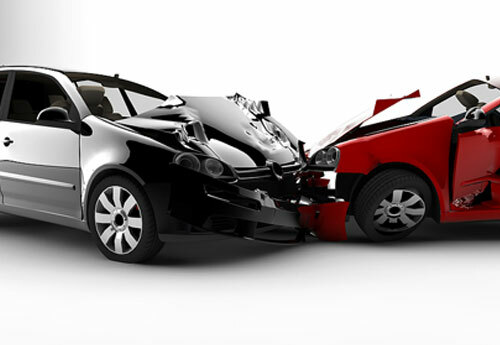 Should you decide to retain our services, we will send an investigator to the accident scene to assess the damages. We will also ask medical experts to examine the extent of your injuries. Because we are experienced at working with these kinds of accidents and injuries, we can assess not just the physical injury and its current effect on your physical and emotional well-being, but also the long-term effects that your injury may have on the rest of your life and the lives of your loved ones. We will interview witnesses, and, if necessary, have them testify at your trial for you. Bush Law Offices employs intelligent strategies that get results, whether over the negotiating table or in a courtroom. Be wary – the insurance company for the negligent party may try persuading you to settle for less compensation than you should receive. We can deal with the insurance company for you, and we promise you that we won’t be swayed from protecting your rights and making sure you get the maximum recovery possible. To speak with Bush Law Offices for your free consultation, call 800-745-9336 or send an email to info@bushlawoffices.com. Check out great coupons for Law Offices Of Bing I. Bush, Jr., APC on LocalSaver! This website is intended to provide general information and is not intended to provide legal advice. The information contained in this website is not intended to create an attorney-client relationship. Bush Law Offices will not and cannot act as your legal counsel or file any documents or perform any other actions on your behalf until a written agreement for legal services is signed between the client and our firm. Call or Email Right Away! 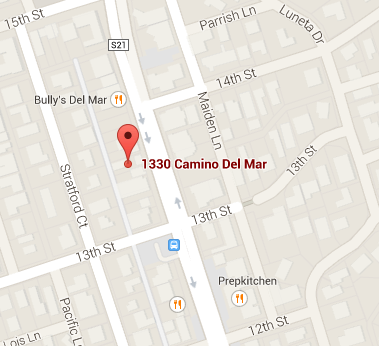 For your convenience we have two offices to serve you better: Del Mar, California and Lexington, Kentucky. We also have two satellite offices: Downtown Los Angeles and Downtown San Diego. For questions or referrals, feel free to contact us at either of our offices or by email. © 2015 Copyright BushLawOffices. All Rights Reserved.